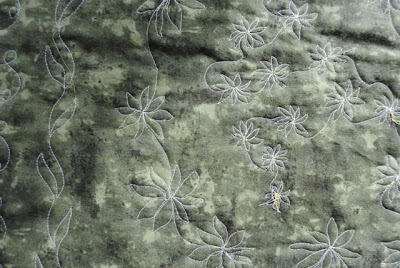 After abandoning my idea of using my Bernina embroidery module to quilt, I went ahead and quilted my Anise Star art quilt freehand. Here is a glimpse of how it is turning out. I plan to now add the beaded stars that I was playing with a few weeks ago. 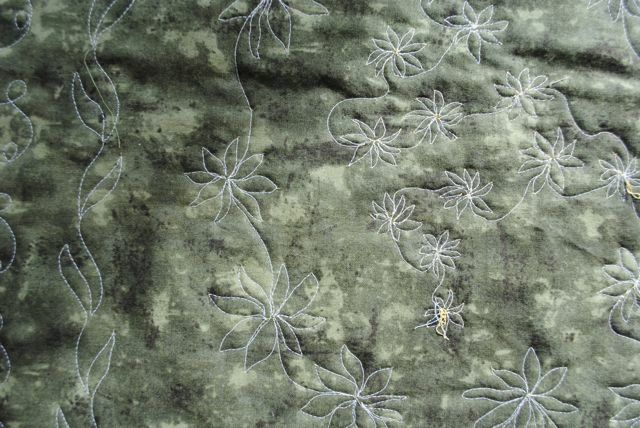 I also played with gluing some of the actual anise star seed pods to the quilt using some bead glue. That also seems to work . What is also interesting is that I brought it in to show my friends at the Bobbin Case last week. As I was paying for some thread I was picking up, I had the piece rolled inwards and laying on the counter. The owner of the shop, Linda Fellows, and I both simultaneously noticed the backside of the piece. 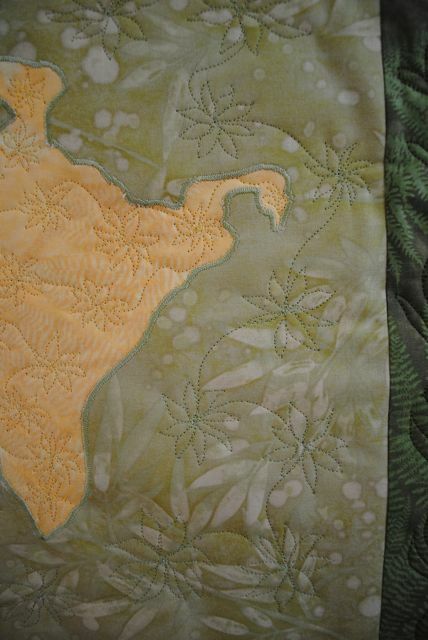 The quilting pattern looked really attractive. I think I will have to recreate my design in another piece using contrasting thread on the front! I agree, Margaret. But there are times when I wish I could have a steadier hand. That is when I think the Bernina option could come in useful - if I can figure out how to make it effortless!